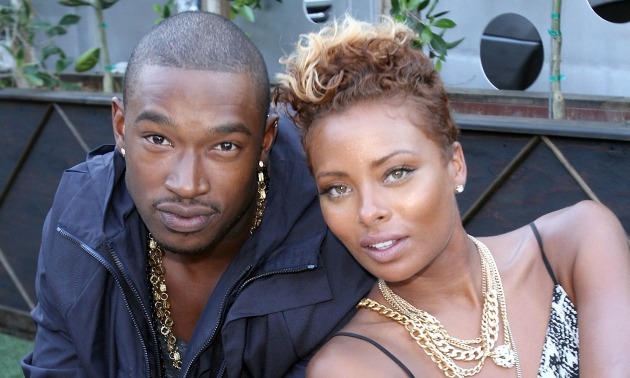 *Eva Marcille has announced that she and her songwriter boyfriend Kevin McCall are expecting. The “America’s Next Top Model” confirmed the news to BET, insisting she’s thrilled to become a first-time mother. Marcille says she is five months pregnant. I’m happy for Eva, really hope she is sure. It wasn’t to long ago when she was engaged to Lance Cross, of “The House of Payne”. It would have been a good thing to have a true comment first then baby. I pray it works out for her. Wow, as opposed to the nice ring of “and her songwriter HUSBAND Kevin McCall are expecting”. Wow, ninjas ain’t shithe.